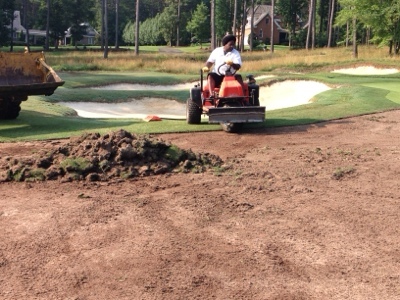 Overseeding for winter play can have its draw backs during the summer transition. One of the major concerns is the extra traffic from mowing that stresses the Bermuda grass. This added stress is one of the causes that contributes to death of the Bermuda. 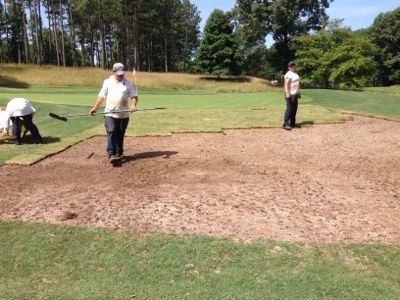 These areas have been prepped and sodded. 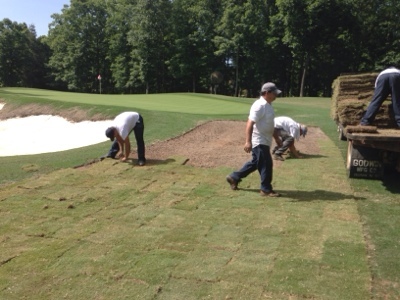 The sod will take a few weeks to tack down well enough for us to start mowing it. 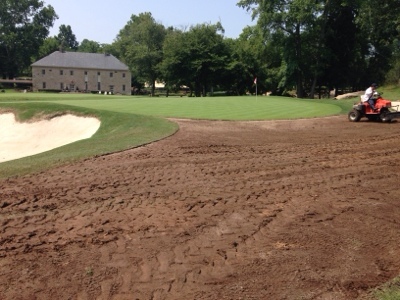 After approximately 3 weeks the height of the sod will be the same as the playing areas around them. 3 approach: The damaged area has been cut out. 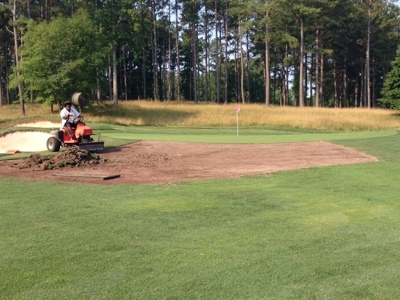 We are using our bunker machine with the plow on in to help with removing the damaged material.